Nitesh joined Watsi on July 14th, 2016. Three years ago, Nitesh became the 2002nd member to automatically support a new Watsi patient every month. Since then, 3,095 more people have become monthly donors! Nitesh's most recent donation supported Kasinjeni, a man from Malawi, to fund prostate surgery. Nitesh has funded healthcare for 33 patients in 11 countries. Kasinjeni is a farmer and father to six from Malawi. During this free time, he likes to watch football and spend time with his 18 grandchildren. 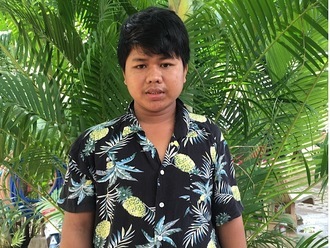 Since January 2019, Kasinjeni has been experiencing urinary difficulty and pain. These symptoms are caused by an enlarged prostate, a condition called benign prostatic hyperplasia. He needs to undergo a prostate resection surgery, a procedure in which surgeons will remove part of the enlarged gland. Our medical partner, World Altering Medicine, is requesting $733 to fund Kasinjeni's surgery. 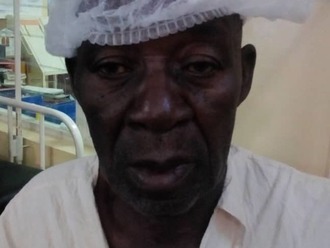 On April 9, he will undergo prostate surgery at Nkhoma Hospital, our medical partner's care center. The requested money pays for supplies, medications, and two weeks of hospital stay. He is happy about the surgery and his family is thankful. He is looking forward to working again without pain. He says, "Thank you Watsi for this assistance." Chorn is a rice farmer from Cambodia. She has one son, four daughters, and ten grandchildren. She likes to watch Thai TV dramas in her free time. Two weeks ago, Chorn developed a cataract in each eye, causing her blurry vision, irritation, tearing, clouded lenses, and photophobia. She has difficulty seeing things clearly, recognizing faces, and going anywhere outside. When Chorn learned about our medical partner, Children's Surgical Centre, she traveled for three hours seeking treatment. On January 10, doctors will perform a small incision cataract surgery and an intraocular lens implant in each eye. After recovery, she will be able to see clearly. Now, she needs help to fund this $398 procedure. Her daughter says, "I hope my mom's surgery is successful so she can see better and she can live an independent life." Meet Nyanhiel, a ten-year-old girl from South Sudan. She has six siblings. She has not yet started school. Two years ago, Nyanhiel developed a swelling on her jaw. This has been gradually increasing in size. She has been diagnosed with a mandibular mass and needs to undergo an excision surgery. If not treated, the swelling will continue to increase in size. Fortunately, she is scheduled to undergo surgery on December 13. Her family needs help raising $1,500 to fund this treatment. Nyanhiel says, “I want to be treated and hopefully start school someday." Laitwell is a father to five and grandfather to 15 from Malawi. He is a farmer and enjoys chatting with his grandchildren in his free time. Since June 2018, Laitwell has been experiencing pain and urinary difficulty. These symptoms are caused by an enlarged prostate, a condition called benign prostatic hyperplasia. He needs to undergo a prostate resection surgery, a procedure in which surgeons will remove part of the enlarged gland. Our medical partner, World Altering Medicine, is requesting $733 to fund Laitwell's surgery. On October 16, he will undergo prostate surgery at Nkhoma Hospital, our medical partner's care center. The requested money pays for supplies, medications, and two weeks of hospital stay. Laitwell's family is very supportive of this surgery and excited he will be feeling better soon. He says, "I am looking forward to resting and being free of pain after this surgery. Thank you." Merline is a girl from Haiti. She lives in the outskirts of Port-au-Prince with her parents, two brothers, and one sister. She is in the second grade and likes math and reading. Merline has a condition called pulmonary stenosis, in which one of the valves in her heart is too small, causing blood to back up and not circulate properly. To correct this condition, she will need to undergo a catheterization, in which a catheter with a balloon on its tip will be used to stretch the valve open to a more normal size. This procedure is scheduled for August 22. 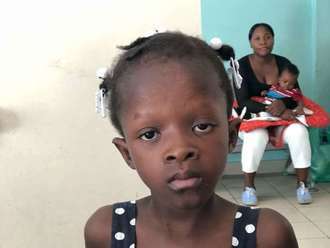 Our medical partner, Haiti Cardiac Alliance, is contributing $3,500, and they need our help raising an additional $1,500 to fund the procedure. Her mother says, "I am excited for our daughter to have this procedure so that she can run and play without me worrying about her." Pav is a barber from Cambodia. He has four brothers. He enjoys watching Chinese films. Four months ago, Pav was in a motor vehicle accident that left his left shoulder and arm immobile. He has been diagnosed with a brachial plexus injury on his left side. The brachial plexus is a nerve network that transmits signals from the spine to the shoulder, arm, and hand. Injuries to this nerve network can result in loss of function and sensation. He is unable to move his left arm and shoulder. Pav traveled to our medical partner's care center to receive treatment. On June 1, he will undergo a brachial plexus repair surgery. After recovery, he will be able to use his arm again. Our medical partner, Children's Surgical Centre, is requesting $637 to fund this procedure. He says, "I hope my surgery is successful and I hope to regain function in my arm." Mu is a 25-year-old farmer from Burma. She lives with her family. In her free time, she enjoys reading books that make her laugh. Two years ago, Mu began experiencing pain in her lower back. She has been diagnosed with kidney stones, which are hard deposits of minerals that form in the kidneys and are often very painful to pass. She has been advised to undergo surgery to remove her kidney stones. If left untreated, Mu's symptoms will continue to worsen and will put her at risk for further health complications in the future. 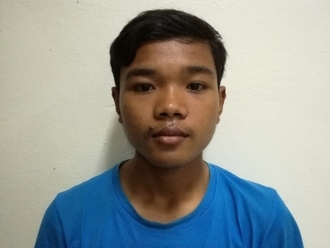 Our medical partner, Burma Children Medical Fund, is requesting $1,500 to fund Mu's kidney stone removal surgery. The procedure is scheduled to take place on May 15. 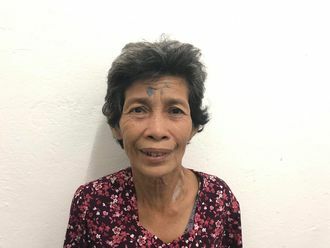 She says, "I hope that my surgery...will be successful so that I can return home and give myself and my family peace of mind."